I have built a jotform for my joomla site. It displays fine on firefox / IE but on my iphone the form cuts off at the upload a file. It's not allowing file upload, has no submit button and is not showing some radio buttons also. Can someone help please? Thanks in advance. Let us know if that helps, thanks. The above revealed the radio buttons but i still couldn't see the submit button. I changed the height to 900px and it is now showing everything. 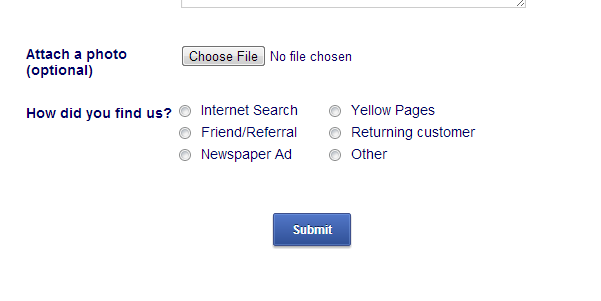 I confirm that I can also now see the whole form in your website, including its submit button. The increase in height value did fixed this. Please feel free to contact us again anytime should you have other inquiry on JotForm.